This quick circuit workout targets every muscle in your body. 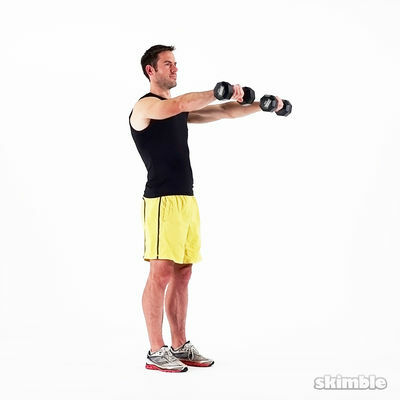 You need set of light to medium weight dumbbells and an exercise mat. You can do this workout anytime for a quick toning session.